Distinctive Beach Rentals | 3107 Estero Blvd. Location is one of the key elements to the perfect vacation. 3107 Estero Blvd. is centrally located and directly across the street from the beach providing two of the essential elements to your vacation. A 75 foot walk through your deeded beach access will have your toes in the sand in less than two minutes. 3107 Estero Blvd. was built in 1935, making it one of the oldest standing cottages here on Fort Myers Beach and a part of our islands history. It has been loving renovated over the years to include all the modern conveniences you've come to know and expect. Complete with two bedrooms and one full bath, decorated in Key West fashion, it accommodates four comfortably. The living room is infused with natural light from the numerous windows overlooking Estero Blvd. It also offers partial views of the Gulf of Mexico. Wood flooring, comfortable seating and a large flat screen TV will have you relaxing in no time. The living room couch also coverts to a sleeper sofa for an additional sleeping area if needed. The full kitchen has newer appliances and everything you will need for preparing your meals while here in Paradise. The owners have even included a dishwasher for easy clean up and to get you back to the beach and out of the kitchen fast! The dining room is open to the living room and adjacent to the kitchen. Relaxed seating ensures the flow of good conversation and the enjoyment of fine food. The master bedroom will be waiting for you at the end of a fun filled day at the beach. The queen size bed will lull you to sleep and have you dreaming of another day in Paradise. Catch the evening news or a late-night movie on your private in-room TV. The guest bedroom has two twin beds along with closet and dresser space to ensure your guests are well provided for. A full bathroom in the adjoining hallway with a tub/shower combination provides you the option of a relaxing soak in the tub or an invigorating shower to start your day. Head outside to the tropical backyard. A pergola provides for a unique seating area. Fire up the charcoal grill for your own backyard barbeque cooking while on vacation. Various outdoor seating options allow everyone to relax and unwind here in the backyard. A short 1-2 minute walk from the front door will have you on our seven miles of white sugar sand beach. The warm waters of the Gulf of Mexico will be waiting for you. Chair and cabana rentals can be found beachside to relax in and soak up the Florida sun or if you prefer to stay cool under the cover of shade. For those with an adventurous side parasailing and Jet Ski rentals are also beachside for your enjoyment. Walk to restaurants and shops in under five minutes. Quick groceries can be found at the 7/11 next to the house. While two full service grocery stores are less than one mile north or south for all your shopping needs. Looking to hit the gym while on vacation? This is the house for you! Hammerhead Gym is next door to the house. Day, week or monthly passes are available for your stay to help or keep you in shape while visiting paradise at 3107 Estero Blvd. A short five-minute walk will also find you at the Bay Oaks Recreation Center. A water park, Olympic size pool, morning water aerobics, inside and outside basketball courts, tennis courts, Frisbee golf, and so much more can be found here for your enjoyment. Jump on the trolley in front of the house heading north to Times Square where you can dine at one of our many wonderful restaurants. Shop the numerous boutiques to take home some island mementos or dance the night away at one of our fantastic beach bars. Take the trolley southbound to Santini Marina Plaza for more great shopping and dining or continue a little further to Lovers Key State Park for miles of secluded beaches, trails and wonderful kayaking trips and dolphin tours. Please note for our guests with allergies this home is both pet free and smoke free. Off street parking, wireless internet and a full-size washer and dryer are also included for your stay. 3107 Estero offers a unique experience that puts you at the center of everything. Book today to stay at this fantastic home and a vacation in Paradise. Note: All properties rented by Distinctive Beach Rentals have a minimum age requirement. Two persons in the rental party must be over the age of 30 in order to rent. Distinctive Beach Rentals, Inc. is proud to announce that we are in compliance with the registration requirements contained in Ordinance 16-001 with the Fort Myers Beach Fire Department. 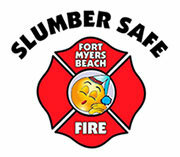 All of our properties have been inspected and passed by the Fort Myers Beach Fire Department and carry the Slumber Safe recognition for you and your family's safety. Please contact me with information regarding 3107 Estero Blvd.. Submit a Review for 3107 Estero Blvd. Distinctive Beach Rentals, Inc. is pleased to announce that all of our properties are registered with the Town of Fort Myers Beach in accordance with Ordinance 18-001 and carry a Town registration number.